History at the Table: Dairy dilemmas: Milk and cheese as "wicked problems"
Behind the orthodoxy that growing children require milk, and that the safety and affordability of that milk should be guaranteed by government, there's a whole saga of turn-of-the-twentieth-century science and reform, which intersected in sometimes-weird ways. That history, which Melanie DuPuis has traced in her work , continues to reverberate today in our fixation on milk as a staple food (just try to find it in the supermarket before a big snowstorm) and in the way most dairy farmers struggle to make enough money to cover their costs of production. Never mind that many people are lactose-intolerant and that there are many other, possibly healthier ways to obtain calcium and the other dietary benefits of dairy. Never mind that American cities now have reliably safe access to clean drinking water, which was one of the concerns that led people to see pasteurized milk as a crucial component of children's diets. We accept the idea of dairy as essential because earlier generations accepted it and managed to get it written into public policy. What got me thinking about this was an article by Genevieve Rajewski in the new issue of the Trustees of Reservations' "Special Places" magazine. "An old industry learns some new tricks," the headline runs. "Dairy farmers take new routes to customers to survive and thrive." 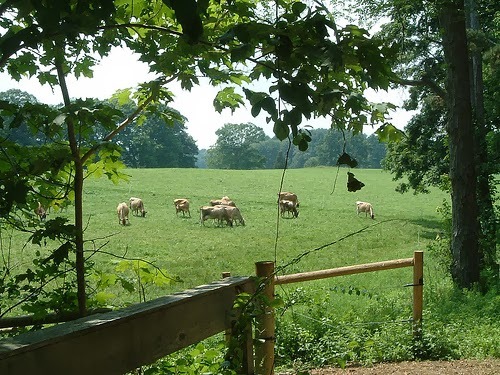 The article describes the ongoing expansion of dairying at Appleton Farms in Hamilton and Ipswich, Massachusetts, which now offers liquid milk, yogurt, and cheese as part of its extensive CSA and in its on-site retail store. Rajewski mentions the cost-of-production problem, noting that like a number of other direct-marketing dairies, Appleton Farms charges a much higher price ($4.25 a half-gallon of milk, compared with about $3 for supermarket organic and $1.50 for non-organic) which enables them to stay in business. These farms promote their products on the basis of healthfulness (super-freshness, no growth hormones) and work toward cultivating a customer base that will pay a premium for these qualities. The purely upbeat tone of the "Special Places" article jars me, because it overlooks so many "wicked" things about the history of dairying. This is where the ideal of providing access to safe, healthy food for all (which motivated the milk reformers of a century ago) runs headlong into the realities of commercial markets and governmental attempts to mediate between profit-oriented farming and the goal of keeping farmers on the land. It's where the persistent elitism of the local food movement seems most obvious, and most troubling. I'm really glad Appleton Farms is building a robust dairying operation, and that it's finding a customer base to support its work. 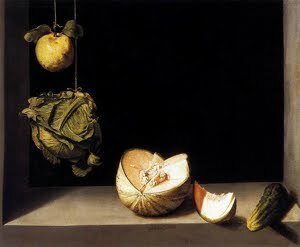 But in talking and writing about it, I think those of us with an interest in both history and food politics have an obligation to touch on the more complicated questions too. Otherwise, it's just another feel-good story with pretty illustrations ("Small-scale dairying has seen a long decline, but it may be coming back again") that doesn't engage with the real challenges of making this kind of farming viable beyond the most privileged--or most heavily-subsidized--areas of the market. I suspect that conversations about this are going on at Appleton Farms, as they are throughout the local food movement. We need to hear more about them if we're going to make any inroads on the wicked problem of how to sustain these great projects over the long haul. I haven't blogged here in a while, but as I gear up for some spring teaching and event organizing at Tufts relating to food and farming, and look toward the summer when I plan to get back to my more local food/farm/history projects, I'm hoping to start posting again, at least once in a while. Stay tuned! Sandra Batie, "Wicked problems and applied economics," American Journal of Agricultural Economics 90 (December 2008):1176-91. 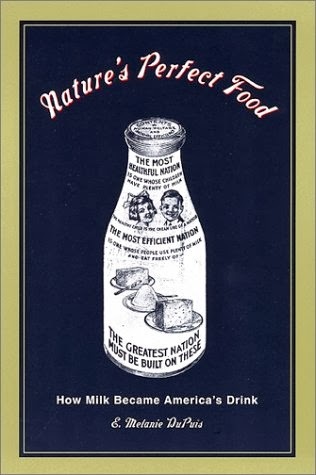 See, for example, Nature's perfect food: How milk became America's drink (New York University Press, 2002). Photo credit: Aimee O'Brien Jeyarajan for Massachusetts Office of Travel and Tourism. I also read the article about Appleton Farms and have actually stopped there en route home from a day at Crane Beach, property as well of the Trustees of Reservations. I think your comments are sensible but I wish you hadn't complicated your comments with the word "wicked" which is laden with strong meaning and is really not relevant (unless you are promote a vegan diet, which I don't think is the case). I love the fact that I purchase raw milk, cheese and some beef from Chase Hill Farm, Warwick, Mass., and I dig deep into my pocket to pay the premium price because it fits with my values. That does not make me an elitist or "privileged." It just means that I make certain decisions about how to spend my money, based on my values. I think about all the crap that people spend money on because of values that have become distorted by the media, and I, like you, try to combat those distorted values, and if we are not entirely successful, so be it. I am not going to feel guilty because I pay $7 for a pound of hamburger at Chase Hill Farm. I know what the feeding lots and factory farms are all about and that has permeated my consciousness as it should permeate the consciousness of many others. I think that should be our priority, not self-flagellation due to "elitism" and "privilege." I love your writing and thoughtfulness, Cathy, and hope to see you soon. Merry Christmas and Happy New Year to you and your "senior citizen, Medicare-eligible" partner.. Thanks for your comments, as always! Just to clarify: Sandra Batie didn't mean "wicked" as in "sinful," but more in the New England sense of "wicked" (eg. "wicked smaht"), just as an exceptional version of something. And I completely agree that we shouldn't waste time castigating ourselves for being financially able to support small farms and local food producers. But on the other hand, I do worry about the long-term prospects of an "alternative" food economy that's so dependent on the relatively well-to-do. I really want to see this become more mainstream, as I know you do, and it seems to me that figuring out those "cost of production" questions is essential if that's going to happen. There's a good new book out about the Hudson Valley called "Labor and the Locavore" that digs into all of that, and shows how important low-wage migrant labor is in keeping even highly-principled locally-oriented farms fiscally viable. That's what was in the back of my mind as I was responding to the Trustees article. Happy holidays to you too! Hope our paths will cross soon.